Andrew has been providing sound financial products and services to his clients since 2016. He graduated with a History Education and Business degree from Trevecca Nazarene University, he also earned his Doctorate in Chiropractic from Life University. He is the recipient of several professional organizational awards and honors including, (List of Awards and Accomplishments). Andrew began his career with Peachtree Planning in 2018, after working as a business professional for several years. Andrew was selected as a Financial Representative in 2018 and currently works in the Brentwood Tennessee Location. He assists his clients on a variety of financial matters including retirement planning, insurance planning and risk management. Andrew develops strategies to help individuals, families and businesses reach financial security as efficiently and effectively as possible. Andrew lives in Gallatin TN with his daughters Bonnie, and Audrey and their black lab Jesse. 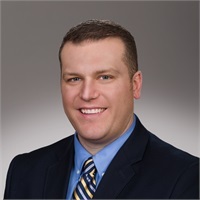 Andrew is active in his community, Andrew is a member of Madison/Rivergate Rotary Club, Old Hickory, Madison and Goodlettesville Chamber of Commerce. He is also active in his church teaching the middle and high school boys Sunday School class and working in the children’s department. In his leisure, he enjoys spending time with his two precious daughters, golfing, hunting and any activity outdoors.